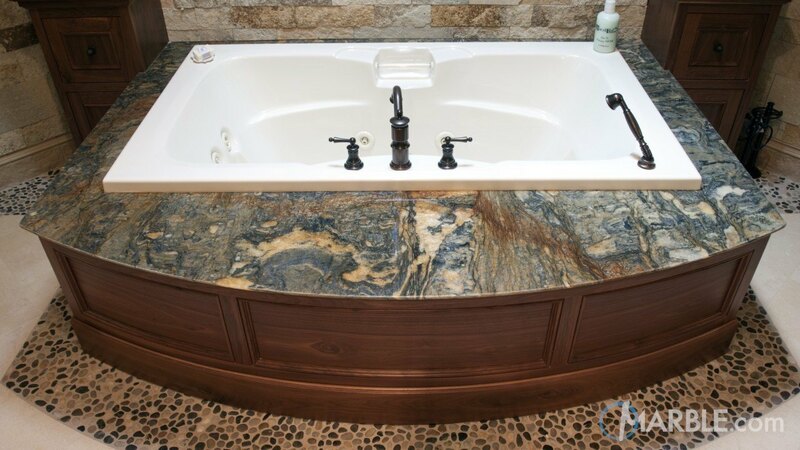 This beautiful hot tub makes a statement surrounded by Blue Fire granite with a Half Bullnose Edge. 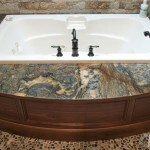 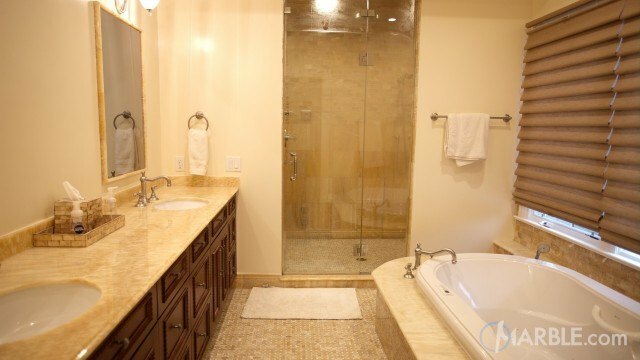 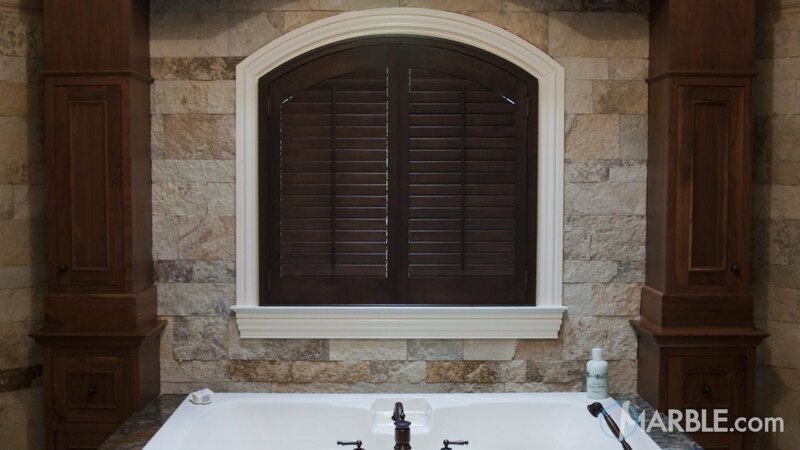 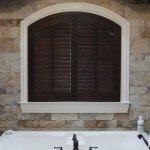 Colors swirl through the stone and pop out against the dark wood base, the white tub and the stone wall. 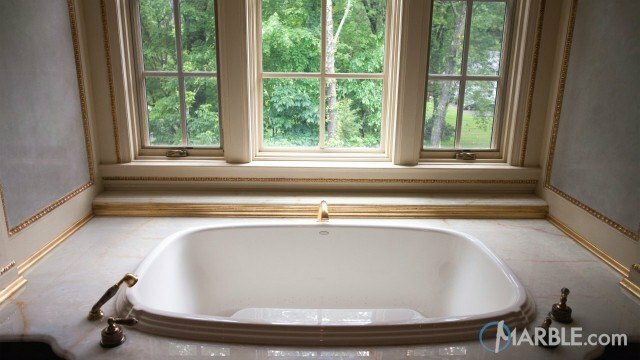 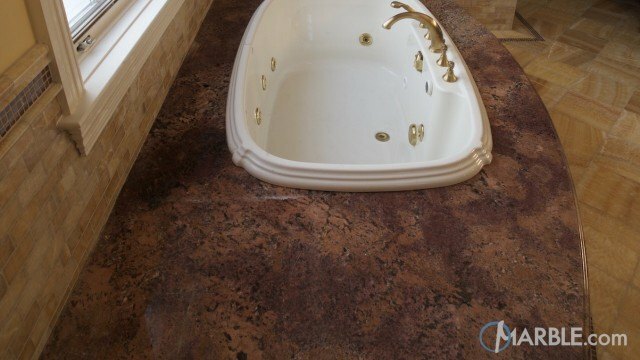 The blue tone of the granite promotes tranquility and invites you to sit back and relax in your hot tub.